I couldn’t take 5 minutes of this marketer’s upsell nightmare. You can actually go to hell with this kind of crap. Great Game To Practice And Have Fun!! I’m 10. This game legit says 4+ and I get locked out??? I rate this game one star because the rating on the App Store says 4+ but than, when your in the game? I WONT LET ME PLAY! That is very stupid. Hi I wanna tell you that it asked you for your age (verification) to play the game (happened to me). It will NOT let you play it. It will just say: sorry you cannot play this game. The game is great, it’s very responsive and just like a normal game of PAC-MAN. While all that is neat and all, the ads can be a little excessive. Overall, a good game, would recommend. 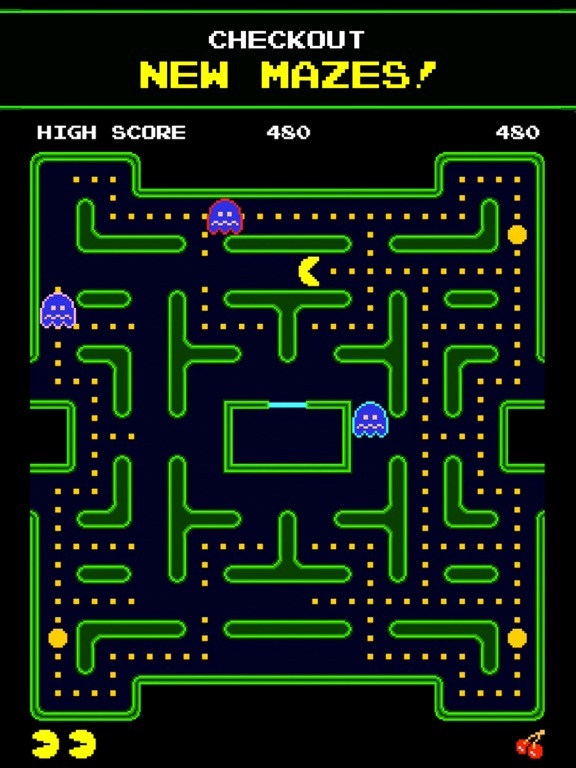 I started out downloading this game it would be the classic retro Pac-Man, but soon realized that it wasn’t. I was searching for eons for a good pac man, and the one I finally find isn’t the classic. Still, the controls and style of the game is great, however, I feel like the ghosts are a little to fast, and they number you down to quickly. Overall, ok game but not retro. I just love Pac Man and he is awesome!!! I bought this game years ago when all it was was regular PacMan. Over the various "upgrades," they have added more and more complicated take overs, ads, and "special" features that gets in the way of playing the game. I thought this is why I paid for the full game--so I wouldn't have to deal with any of these annoyances. I absolutely refuse to play this game now. This is terrible! Pick the wrong age group? Game unplayable. My son has recently fallen in love with the idea of Pac Man, so I thought we could play some together. The game asks your age group, he’s young, so I chose the 2-12 group hoping it would provide an easier experience for him to understand. The game then tells you that you are not allowed to play, and locks the game. What? Why? Why is no one allowed to even try? You can’t even choose a different age group. Locking the entire experience is at best frustrating, and at worst signaling possible predatory in app purchases. Who ever heard of PG-13 PacMan? Why is it that if you select the age group 2-12 I doesn’t let you play! 😡😡😡 So in my opinion This is the worst game on the App Store Do Not download this app if you are in the age group of 2-12 you will rage! I can’t play the app even though I’m old enough. I also can’t delete it. I’d pay a million cash just for this it’s fun great way to pass time and get you felling a good vibe! It’s worth every dime! I believe this game is very fun! I *WANT to love it !! You can’t earn a new life once you get the initial 10,000 points life !!! I’ve earned a gazillion points and gone to the key stage - but once you get that first life, you don’t get another one , which I think is RIDICULOUS!!! They make you dependent on “earning” coins when they are really scheming and manipulating the game for you to have to $PURCHASE$ points , which I think is disingenuous and underhanded . If you want me to buy something , just be upfront about it and don’t change this AMAZING game for your own monitory gain !! !!! My grandson is in love with pac man. New Pac man merchandise is almost impossible to find. Please let me know of any available. This game is great! It has many features other than the original Pac-Man but it still has the classic! There are ways to earn coins, different modes, and all sorts of other things! I do wish it wasn’t so advanced though. All I wanted was the classical Pac-Man but instead I got all kinds of different kinds, which I don’t mind at all. Some of them are fun. Some of it is laggy but maybe that’s just my phone. There’s special deals and events which adds some fun too. Don’t forget the tournaments too! Those seem like fun. This game is good, I would recommend it if you want some Pac-Man but also want to play different things. Super cool more than 100 worlds so cool my son loves it! Was looking forward to playing this but it’s just not the same as the original game. Also I had a difficult time moving Pac-Man around the board so I kept getting stuck and eaten by the ghosts. They need to do a major overhaul of this game and also offer the original version for free and then perhaps charge for the different versions. Very disappointed. This game is horrible. It wants me to get the “wreck it Ralph” version so I can’t play this game. Please make it to where I can play game. The controller is manipulated for you to lose and keep watching ads. This is not fair at all. It was good but I have a question it was the age verification I press like I’m almost 12 and then Why can’t play this game it says it looking for Wreck it Ralph content from Disney I need to play this game it’s not inappropriate is a kids game so please I had play it right now. Why can’t I play play?!?!?!?!! I am 12 years old and this game says I’m to young to play. The app rating is FOUR AND OLDER?!?!??!?? I think that PAC-Man is a great game. And I think that having PAC-Man on a iPad makes it even more great. And I don’t think that it takes too long to load. I think that it loads pretty fast. And if you are reading this review to know if you should get PAC-Man my personal preference would be to get it. 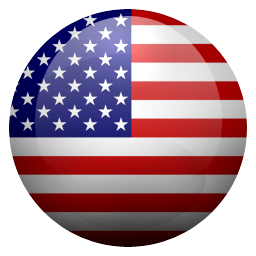 In joy PAC-Man! Unrealistic bologna! And that’s from a guy with over 35 yrs of pac under his belt! Adds adds adds adds nothing but adds. 10 second game 20 second add. Eat it richers. I just can’t stop playing it. I’m so impressed that they made it more fun and more interesting than the old one. I will recommend this to everyone in the world. This game is fun when I actually play it. The problem is that 10 minutes of game time comes with 4-5 minutes of ads. I understand the need for ads but this is just ridiculous. I changed devices and wanted to continue to play pac man. Why my progress did not accompany my payment account to my new device. Shameful of Namco company to transfer my payment info but not the progress my money already paid for. I need answers my acct name is 19614454. Bought this game several years ago and it was awesome. Today my kids wanted to play and it came up with a “select your age” box and when my kid said he was 11 it locked him out of the game and suggested he download some Wreck it Ralph BS. First, I already paid for this game and expect to be able to keep playing without having any ad ware or other garbage. And telling me to get another game that has nothing to do with this game is just slimey. If they do not restore my original purchase and fix the age garbage I will make a formal complaint to Apple and demand my money back. Developers need to be taught that, when I buy it, I own it. They cant just “decide” to “upgrade” me to a version that has ads and expects me to pay to play every game. What is this new “energy” crap! Fix this or give me my money back. BAD DEVELOPER! No cookie! It won’t let me play just because I am only 10! I was just wanting to play this game. 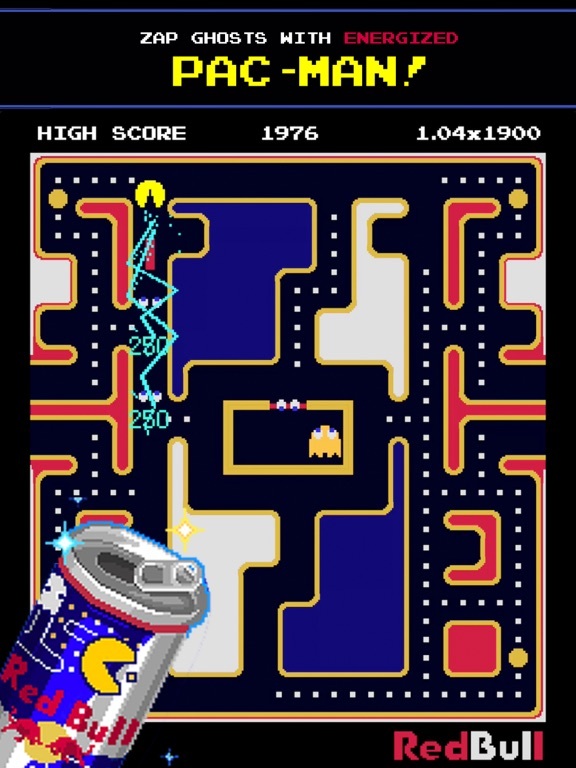 I just a pac man game where you eat pellets and run away from ghosts! But it said I can’t play. It said if I was l was looking for Wreck it Ralph content, I had to download it. And there was no button to say I wasn’t looking for that content! 😡😡😡😡😡😡😡😡😡😡😡😡😡😡😡😡😡😡😡 It’s a scam! You’re not looking for the all time classic game you wanted! You’re throwing your time down the drain! If you want to play classic games, I recommend you play a different version of PAC man or play a different classic game like Tetris! How in the world are people getting scores of over 700,000 points on the tournaments? It makes absolutely no sense. Otherwise, I love the game. Pac-Man is the best game ever. Alll the mazeis are so creative. You have to agree to let Bandai have access to your phone and data to play this game. No thanks. It’s for kids look at the age rating it’s 4+ but 0-12 year olds can’t play! PAC-MAN has been always kids friendly! This is redicleos! The swipe for moving is completely messed up. When I opened the game I then selected 2-12 age and THEN IT SAID I CANT PLAY PAC MAN AND I SHOULD PLAY PAC MAN WRALPH BREAKS THE MAZE!! Fix that please. Used to be better before you changed it! I love this game I really do, I am 43 and have played this most of my life. It used to be better before last years changes. First off I am upset I was tricked into buying Opposite maze because they make it LOOK as if the fruit changes place with Pac-Man! Very clickbait pic. 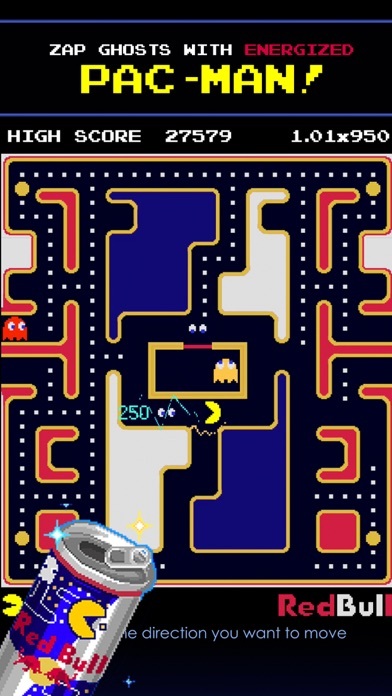 Also, the game in general now-WHAT did you guys do to the swipe to move Pac-Man? Med sensitive used to WORK, none do now correctly, It used to be great, BEFORE you switched so we all had to use this app and got rid of the other one. Now Pac-Man gets eaten all the time because it swipes in a direction I did not try to go! Was t an issue before. I use iPhone 8, and it should be working great on here. Anytime a customer complains here they get an automated reply that all sound alike and uncaring which probably means it’s not a real person taking time to actually respond. Businesses should be run by folks who care abt customers (players). Many of us paid several dollars for this and then forced to start over on this new free app, and we were never reimbursed.people have repeated over and over how you need to fix controller swipe, how coins are too stingy now after updates, how this is a game for all ages but there’s a glitch where under 12 can’t play which is ridiculous! PacMan has no bad content whatsoever. They claim they are looking into the problem but ARE you? Really? Really?! Also, I also used to get enough coins that I was happy with it. So I would purchase a few because my count of coins would actually get close to, say the 40 needed for a new board. I’d have 35 and think I will just buy the rest! Now it takes weeks to get even close and it makes me angry and I don’t want to buy them now. People buy from apps when they are HAPPY not frustrated guys! Please fix the swipe sensitivity every setting moved Pac-Man incorrectly at the wrong time. In my lifetime, I have won Pac-Man contests, beat everyone once, got second place once, so I am not bad at this game people!! But on here I die all the time. Because of the controller! If I’m dying too much so are others. We should get a free retry also. Why not? We need to save our coins, which are stingy now for no good reason, for getting new boards! I love most boards actually EXCEPT Purple maze that maze is a nightmare mess from hell. Yes it’s the only one that comes up on my challenges for coins-get to level 7 on PURPLE maze or eat 15 ghosts on Guess what, PURPLE maze. Yuck no no no. I wish they’d remove that one. The rest are fine but don’t eat ghost challenges? Really? That’s the whole POINT of this game and not eating them is just odd. Really enjoy playing this game! So I was going to let a friends kid play this game, thinking it was a suitable and fun game for a 10 year old to play. So I selected the age group 2-12 assuming it would just make the game easier for him. Apparently selecting this age group permanently locks you out of the app, could not reset. clearing the history, or turning the power off on back on couldn’t reset. The only way is to delete the app and re-download. Well only one of those will be happening. I loved this game! I played this when I was 1.5 years old! That’s right— I owned a rather expensive (in 2019) PAC-MAN Plug-and-Play at the age of one and a half! I didn’t play Pac-Man after that until I played “Ms. PAC-MAN” on my mother’s old Samsung SGH-T559 “Comeback” phone. My highest Ms. PAC-Man level was 14!!! That was when I was seven years old, so Pac-Man games remain an EXPENSIVE TREASURE to me! I have plenty of increasingly forgotten Pac-Man (color LCD handheld games), Sonic the Hedgehog, and Super Mario 64 (like the Wing Cap Mario plush) merchandise to enjoy! Way, way, way too much advertising. Way, way, way too much advertising, and in-app sales. It's simply not fun. Seems this company now owns the trademark for Pac Man, they have the market cornered, and are going to cash in on it any way they can. Try something similar without the Pac Man name. So when I downloaded this game is said if you want Reck it Ralph click the game below but I didn’t want Wreck-It Ralph so I didn’t know what to do and I tried to exit out of that and I couldn’t do any thing so yeah. Installed, and really wanted to play this, but didn’t get that far. They want too much continuous personal info for the privilege of playing this. Instead of allowing, I deleted the game. Whatever you do, do not select your age group to be less than 13. It will not let you play the game. Even though I am older than 13, my daughter isn’t and chose that option and both of us were locked out of the game. Classic mode is great but the iffy controls mess me up sometimes. This game can be for 2-12! I mean, I’m 10! This game went from awesome to stupid! Bug: I can’t play the game because I picked that I was 2-12! I’m 10! When I picked 2-12 it said I couldn’t play the game!! That makes the game 1 star! Fix it to make it 5 stars again! 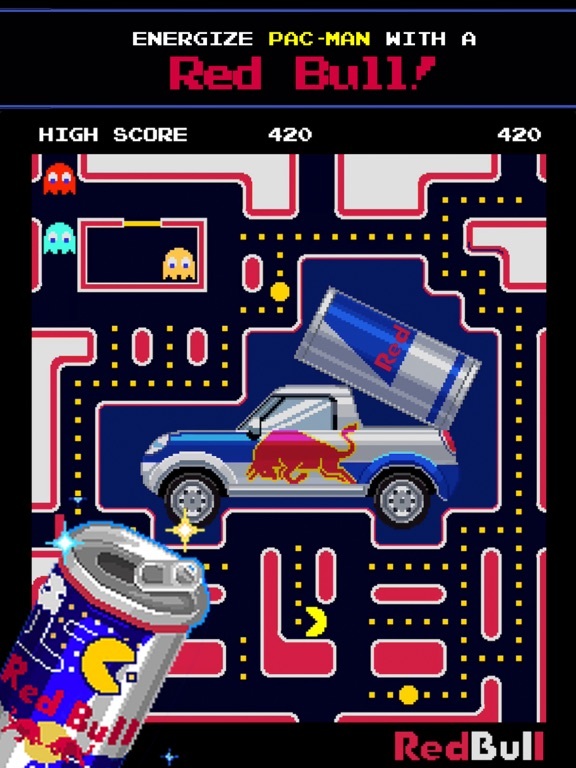 I bought a pac man redbull and downloaded this specifically because of the code, and the code didn’t even work. This is a good app, but there are WAY TO MANY ADDS! When I ate the pellets there’s been a 10 times nothing happens.😡 Not HAPPY about losing a life. So when I first started playing it was so hard but now it’s GREAT COOL GAME and I like it!!!! The description says it’s supports MFI Controllers, but that doesn’t seem to be the case. I will gladly change my score to 5 stars if this feature is actually supported. Yet again your relaxed tournament shows challenging tournament preventing anyone from gaining an achievement through relaxed. Used to be good but they ruined it. No mfi controller support anymore. So I used to play this game daily. I loved it. It was near perfect and a 5 star game for me. Now it’s a one star. Why? Read on: When this game first came out, I found the on screen sliding controls were just horrible but that was okay as I bought a mfi Nimbus game controller to work with both my ipad and Apple TV. But mainly bought for this game. It worked great that way. Then for some strange reason in late summer/early fall 2018 they decided to rewrite the app in some way and strangely removed mfi controller support even though such support is still listed in the app description. Why? Who knows...they never answer that question. I got excited when I saw an update with “joystick” support, but that was merely a horrible on screen joystick, not support for a hardware controller they once had. So now the game is once again horrible to me and their customer support is equally horrible. They literally do not respond to my support tickets asking why this was removed and when will it be back considering it is still listed on app description. So I am done with this game until they put back hardware controller support that never should have been removed in the first place. RE: that developer response: why would support respond to me now when they didn’t the first two times? That is a DEAD END that goes nowhere. Excellent game! Above excellent customer service! I’ve been a Pac-Man fan since the original coin-operated video game came out. I’ve played practically every iteration on every platform including those on the iPad and the iPhone. I recently had to move from the premium version of this game (being eliminated to focus on great development of a single version) to the free version, had a great migration, then something went wrong a few days later. And as a result of contacting them, I have to the customer service of these folks is above phenomenal. I can’t say enough good things. They got everything back to working the way it was before; I’m back to enjoying the game on a daily basis; doing the daily challenges and unlocking the mazes. This version gives you something challenging every day. Do I recommend it? Heck yes. What should you do? Download it. Now!!! The game and the boards themselves are great, but unfortunately, it’s impossible to simulate proper arcade joystick control of PAC-MAN by using swipe screen or button control. If you’re an expert Pac-Man player, you need to be able to move Pac-Man quickly and accurately. Without a manual joystick, on the harder levels, where you must move quickly, it becomes impossible to do that. In other words, when you swipe left, sometimes Pac-Man moves down or in another direction instead, and then you die. This happens every time the game doesn’t record your intended move correctly.... which for me is SEVERAL Times EVERY game. And swiping to make quick turns just does not work with the high degree of accuracy that you need to clear the expert (Elite) levels. If you try switching to button control, it’s not much better. Nothing can simulate a manual joystick. You think the Atari 2600 Pac-Man was bad? Then you haven’t played this abomination. 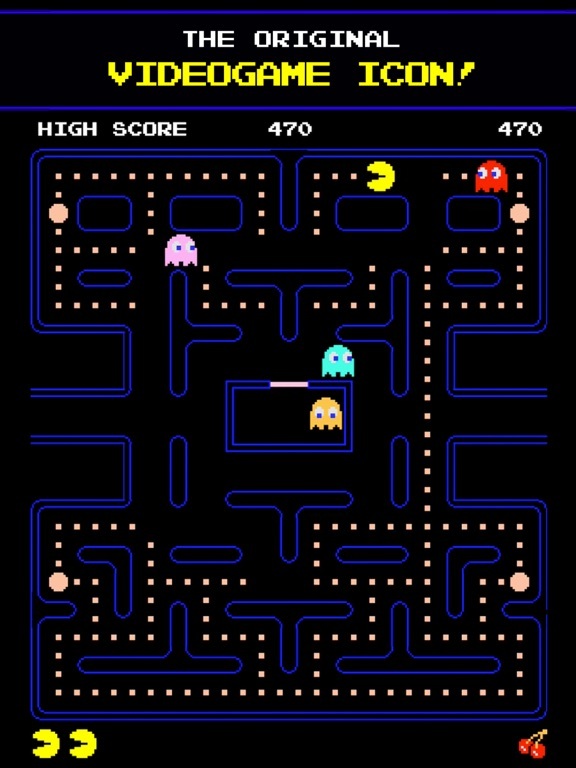 The touch screen controls are abysmally imprecise and Pac-Man often goes in a different direction from the way you swipe. The maze designs are not only terrible, violating every tenet of good Pac-Man level design (full of dead ends, gimmicky levels themed around shapes and words that don’t allow for any natural flow of movement), but several of the level sets recycle mazes from others. And since the game is a micro transaction-filled nightmare like nearly everything on the App Store these days, it’s pushing you to bypass the very slow grind for coins and pay real money to unlock these dismal mazes... so they should at least all be original, right? Not in this game! There have been some improvements from previous versions, especially making all of arcade Pac-Man free and introducing the checkpoint system for it, but the game is still a broken, twitchy mess and a disgrace to the franchise. 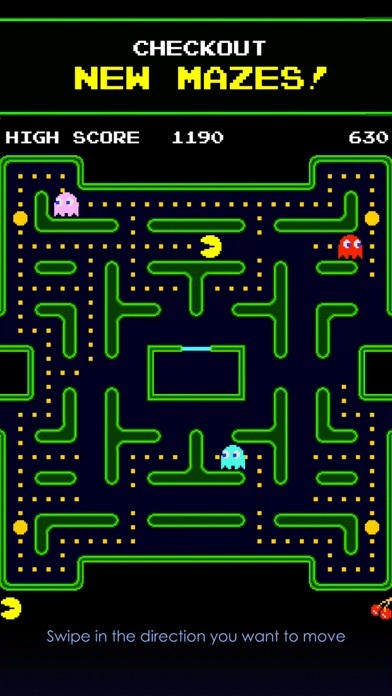 I purchased the Premium/original PacMan for just that; I understand the drive (profit) to sell mazes and ‘tokens’ as well as the drive to have a unified app.... how about this.. 1. Don’t ask me to open a ticket (seems that this is your reply to any negative feedback and you know it is just to make most go away) 2. Give us an option in settings to turn everything but ‘classic’ Pac-Man off... while in classic mode, give us the option to turn it (the ‘new’ content) back on.... telling me my premium features are now free doesn’t undo the mess you have made of an iconic game. Developer suggests taking it outside of this forum... while I am complaining, swipe control... brings out the OS swipe from bottom menu a bit too much, maybe an option to disable this during play? Hello I absolutely love this game. I would like it if there was more free levels as I just started playing. I love PacMan so more levels would be nice. I also wish there were some free elite levels and free challenging levels. If you could add this that would be nice. 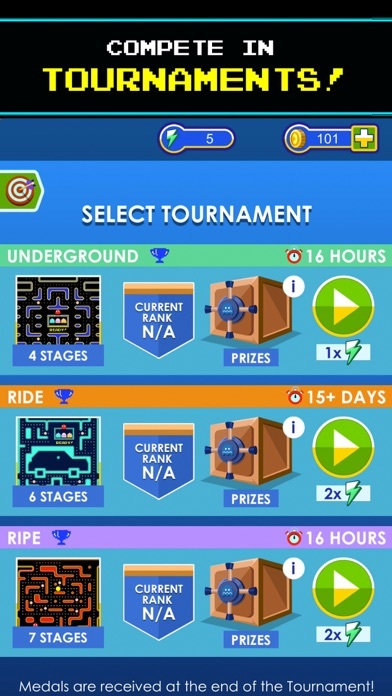 I personally think you should make a big update adding more levels and get rid of some of the classic stages. Just more levels would do good for the game. And more people might play. Other than that this is a good game so if this review gets posted when people browse seeing if they should get this game I think you should and this is overall a great game. Thanks P.S The original review was posted by my son. I have always loved playing this game, from the time I had it on Atari when I was younger, to having it on my Kindle, To now having it on my iPad. However, there are some major issues going on with this game. I have recently lost about 85 tokens I had left from a recent in-app purchase. I have tried restoring my purchases, but nothing happens. I have tried restarting my iPad, and that doesn’t work. I have also tried deleting and reinstalling the app, and still nothing. 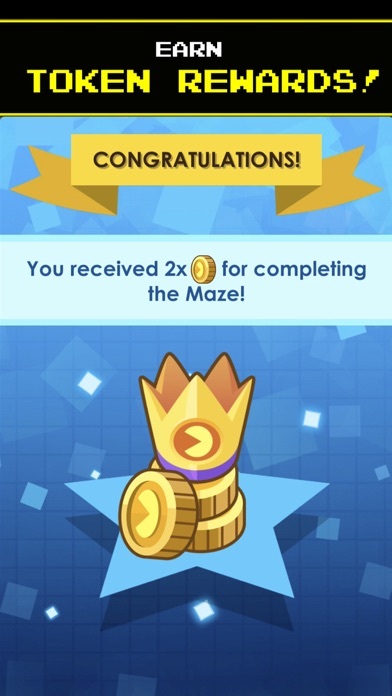 All of my crowns for completing mazes are still there, but not the tokens I have purchased or earned. And when I complete a challenge or a maze, it says I have earned tokens, but the token counter still reads zero. I recently let the ghosts eat me, so I could try the resurrect feature, which would normally cost tokens, and it said an unexpected error occurred. What gives? It is a fun game, but it is not near as hard as the original. You move at about a third of the speed you would be moving at an arcade machine, therefore making the game kind of easy. I hope you can add a mode where you move at the original speed, because I love PAC-MAN and I would really like to have a more authentic gameplay. There is another bug on the IPod Touch where the joystick glitches out and leads you in random directions. The ghosts also can sometimes, but rarely, go through walls. I was trying to get to a power pellet, like most usually do, when a ghost pulled a very “Interesting” move. That was on the first level. Unacceptable. It is still fun and I love it though. First of all, the in app purchase of full mazes in the Lite version does not in turn register on other devices where they want you to pay the same $4.99 again! Secondly, their design of the joystick is so pathetic and inauthentic, monkeys could have done better with no effort. Idiots, a joystick should always spring back to neutral (as with the original arcade game and all such)! Also it should be simple and an exact replication of the original without all the gaudy GOOFY romper room red arrows and such which NOBODY is looking at anyway as the game is played! If you are going to offer an authentic simulation of the original classic then GO ALL THE WAY MORONS! Don't screw it up on the joystick! You can add whatever newer innovations you want as OPTIONS! You stupid monkeys got it right on your Galaxian 30th, so why screw up here with the most popular arcade hit of all time?! Sloppy no taste Morons! I had some issues with the previous version but they were quick to fix the problems when they happened. I feel as though this version frustrates me more, I was so excited thinking that some of the things would be fixed but now it’s annoying to play since the toggle disappeared and you only get one way to direct Pac-Man. When I slide my finger up or down it goes right or left. :( and the ghost eats me. 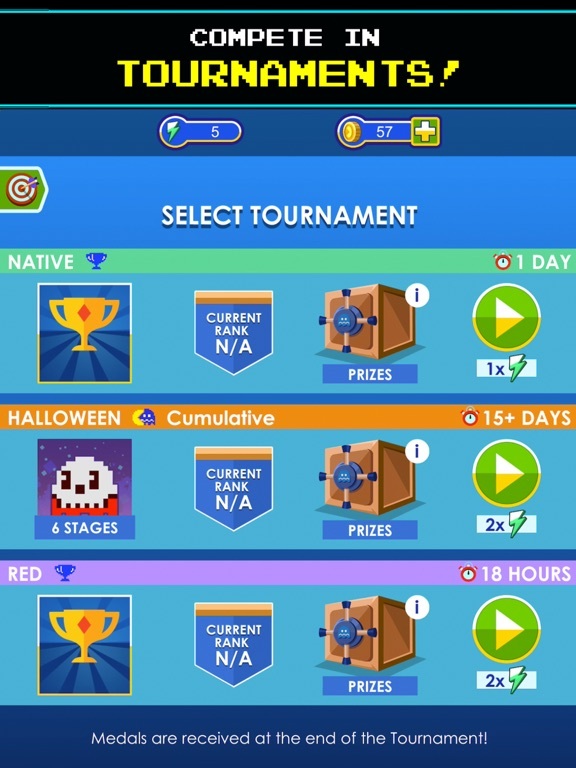 I like that you can pick and choose your tournaments based on how much energy you have. But the “toggle” needs work and it’s one reason I don’t play as much. :( Will change review once things have been adjusted. I love Pac-Man because it is just an awesome game it is fair and competitive. I makes you very frustrated and very very focused. And the way you unlock stuff makes you want to do it not just need to. 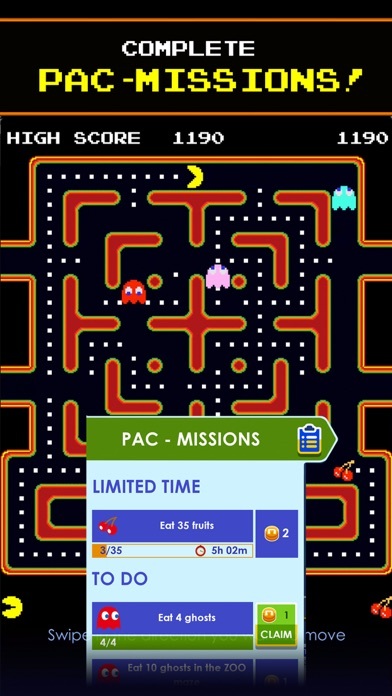 You can maybe make another game where you need to eat more pac-dots than the ghost and there is a rare chance for the ghost to not kill you and also make where you can unlock different skins like Pac-Girl or Pac-Pet and for Pac-Man he can have different clothes and Pac-Girl can have different clothes to so Pac-Pet can have different animal types and clothes to and please include a Turtle 🐢 it’s just my favorite animal:). I just think PAC-Man is a whole new world 🌎 for everyone:). One thing I’ve begun to look for in a Pac-Man release, and I have this and 256 on my phone and CE 1&2 as well as Arcade Game Series Pac-Man and Ms. Pac-Man on Steam, is the ability to register a turn in advance on any straight away. The Arcade Series lack this. In Pac-Mans with buffering, I feel like my deaths were entirely my fault. In games without, I often find myself shouting to myself that I turned that way- why didn’t it turn how I pressed. Not a problem here. Some of the best Pac controls around right here. In a Pac-Man review that’s all that matters. 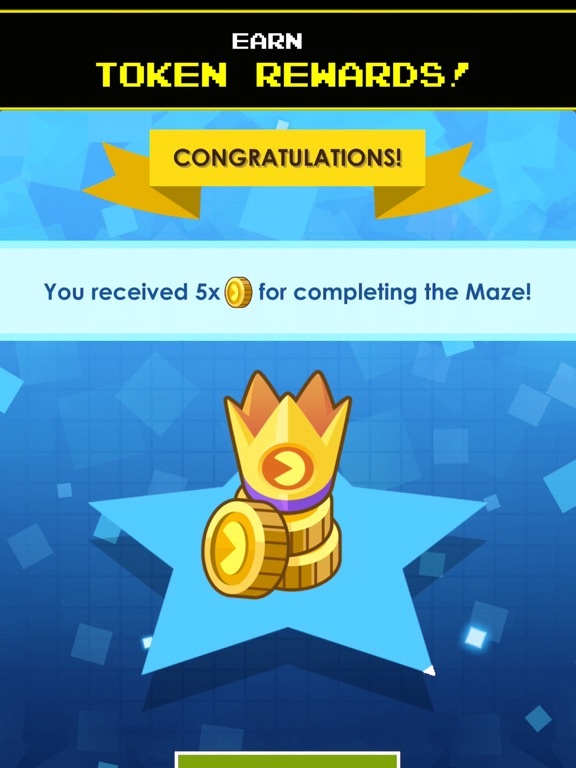 There are no longer rewards for completing old mazes. No free retries. No video rewards. You have to pay coins for PAC-MAN classic when there used to be free videos for it. To do a classic PAC-MAN task you have to actually pay coins to do it which either cancels the reward or puts you in the negative. On top of that, there are sometimes no registration of your progress when you complete a task then you have to redo the task multiple times until it registers. And of course I've literally swiped up and watched PAC-MAN not react many times. And there are many freezes. The game used to be better months ago. I cannot even get the game to load on my iPad. Keeps spinning... telling me it needs to update mazes so connect to WiFi. I AM ON WIFI! Plus, I have made purchases and played many mazes on the iPhone, why can’t it transfer to my iPad.? It’s a new iPad. My iPhone was damaged over the weekend and won’t power on. I was hoping I could use it on iPad, but it’s not successful... Update: Thank you to the developers and their team. I appreciate the fix and the response. 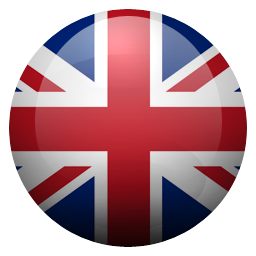 I am changing my stars! I’ve been enjoying this version of Pac-Man a lot, but I do have one issue, which is the tokens. I would rank this a five star game if tokens weren’t used to unlock levels. I think it should just be the traditional you beat a level you unlock the next level, but you have to earn tokens to unlock the next level which takes some of the fun out of the game. I paid the dollar to get rid of the ads, but I’m constantly feeling pressured to spend more money to get tokens so I can play more levels of the game. Having a hard time with this one lately. 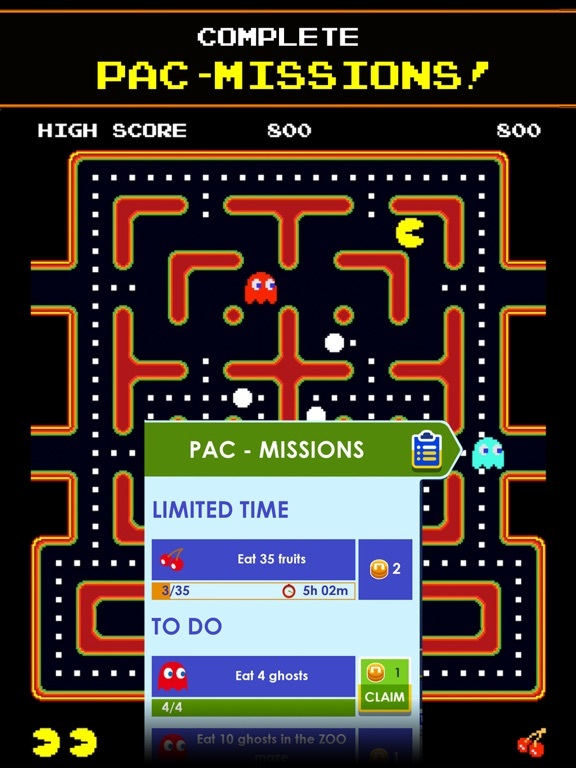 It’s been about a week now since I received push notifications for Pac Man missions. So I have tried to open the app a few times and at the bottom of the opening screen I see the spinning gray wheel and the app never opens. I have tried deleting and reinstalling the app, refreshing the app, and of course powering down the phone. Nothing seems to be working. Please help. [Edit] Back to good now! Thank you. This game is awesome but Pac-Man randomly makes right turns when he feels like it. I’ve messed with the sensitivity option with no luck Pac-Man still turns right when I want to keep going straight. If you can overcome this really annoying feature than this is the game for you. Also what are all these redbull codes good for anyway? I’m not understanding the concept behind the codes or why on earth anyone would by these credits to play a few maps that don’t get you anywhere or do anything special. Fix the glitches on this game please. I’ve always enjoyed Pac-Man even when I was young and I got a kick out of this game when I found it. I played this game for quite a while using a Nimbus wireless controller because I cannot play this game with the touchpad it’s too wonky. I was playing the heck out of this game and had fun until the recent update came in. Now it seems to no longer except my Nimbus wireless controller, nor it seems like any wireless control support is in this game anymore please try and fix this problem if you can, otherwise I may have to give this game up and I don’t want to do that. Excellent remixed music, good variety of mazes, fun demo mode. The problem is I purchased this game because it advertises MFi gamepad support because I use my iPad with a Steel Series Stratus MFi controller as a portable console like the Nintendo Switch. The gamepad does work in-game, but it is very glitchy to the point of being almost unresponsive on the menus. This means I have to get up to tap the screen every time I want to switch to a new maze. Please note I already contacted customer support months ago about this issue, and an update has never been released to fix the issues with using the controller on the menus. Thus, I have moved on to playing more responsive games, making this a wated premium investment for my controller. I loved playing Namco and Atari games on a controller since I was a kid on the Atari 2600, NES, and arcade. If Namco ever proves their quality control, I will consider buying and playing Mrs. Pac Man, Pac Man CE, Pac Man 256, and Ridge Racer. The pac man game is fun, but it forces the player to grind for days to unlock mazes. On the more expensive mazes (50 coins plus) it could take 2 weeks or more. It’s sad that this iconic franchise has stooped so low as to be another despicable money trap. Additionally, the game rewards users for consistently playing each day, but the highest reward, the seventh day, seems to be skipped over and the count is reset. Ultimately, I like the gameplay, but will delete it because I thoroughly do not enjoy the disgustingly underhanded trend of today’s games to make an extra buck. Good job, you’ve lost a two and a half decade fan. Great sound effects and crisp graphics. Awesome! But read part on bottom. 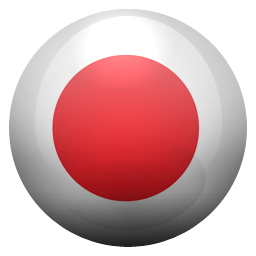 Well, so I had ABSOLUTELEY loved this app since I’ve ever had it, but, the joystick, well, I don’t know how to say this; let’s say the least i could. It’s a shocking experience, but THIS is what you ABSOLUTELY need to read. I am getting freaking/flipping sick and tired of this. The joystick, keeps on, MOVING, THE WRONG WAY. Eeeeeeeeeevvveeerrrryyyyyyyyy time I swoop, slash and try to get those freakin’ power pellets, let’s say when I turn right, it turns left. So THAT must be why I deleted it, huh? Good game, joystick, 👎👎👎👎👎👎👎. I enjoy playing Pacman every time. It takes me back to my childhood, when I ask my mom for a dollar in quarters so I could play Pacman and see how I could get. One problem I have been having is that when you complete one of the Pac missions, you receive the tokens for completing the board but the mission is still on the board waiting to be completed. Thank you for reading this and keep up the good work!! I have been playing for about a week and love it. However over the last 24 hours I haven’t been able to play. I click on the app to open and it just gives me a loading screen that never ends. :( will update the review as big gets fixed. EDIT: it was just for a couple days while they updated the game. Since then (about 2 weeks) I have had zero issues. Really fun! Love this game but after about a week it stopped working. I had already paid for the game. I uninstalled and reinstalled several times and wouldn’t work so I left it uninstalled for a couple weeks. Now I reinstalled again and it works fine but it’s saying I have to pay for it again! Isn’t it supposed to remember my previous purchase? PAC-MAN is amazing. Absolutely love it. 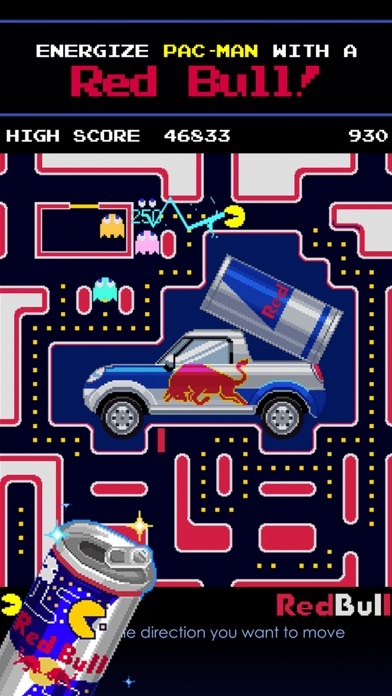 New mazes, the RedBull and Christmas challenges, tournaments, and the original all rolled up into one amazing game. It’s awesome. But... two suggestions for you. Don’t virtually smack someone in the face by sending someone something like “PAC-MAN is all alone... but you said you loved PAC-MAN!”, please. And I think PAC-MAN V.S. would be a good opportunity for this app, because everyone has their own screen, and not everyone has a Nintendo console(s). You could choose the new maps you’ve unlocked, or even play the RedBull challenged ones while they last! This game is still five stars, because these two suggestions don’t change my opinion, but they would be nice. 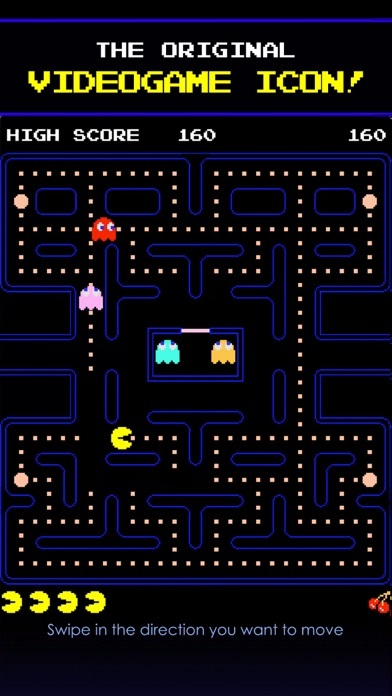 I love PAC-MAN, it’s a great app. Keep up the good work, NAMCO! Installed in kids iPad. The game says it is for ages 4+. After installing it prompts for an age. If you select anything under 16 it locks you out of the app. You can only bypass this by deleting and reinstalling the app. After reinstalling, the app prompts you to accept another set of license terms. The terms state that data will be collected from my device. Not what kind or any further explanation. This is unsettling as I feel anything could be harvested from my device the way it is worded. Apple step in and review this app again. It’s the same for the other apps Bandai has out. More Addictive than the Original!! As a fan of the original quarter-fed arcade favorite, I can tell you that if you loved the sound and feel of the original incarnation, you will not be disappointed here. The only real difference is the variety of boards you can choose from, if you want some very creative variety. Me, I’m still hooked on the original. Enjoy!! I bought the PAC-MAN app years ago for five bucks, then this year the premium version I paid for was made free to the public. And while I'm okay with that, they've tweaked the controls slightly, and its not for the better. Sometimes Pac-Man moves to the left when I swipe down, other times pacman moves up when I swipe right. These controls are too touchy. I wish you could revert to the old controls or find a way to tone down the sensitivity. Its all wrong. Because when you’re using the “Swipe” option it doesn’t actually always go in the direction that you’re swiping. It’s like there’s someone else on the other side of my phone playing the game for me :( please fix it? Also, it doesn’t give the daily rewards that we’re supposed to get either. I have to wait 2 days to get my reward. Again, please fix it? Thanks!